We’re heading to Twofold Bay (Eden, NSW) with our 490C next week for judging of Australia’s Greatest Boats 2016. Bar Crusher has been a finalist every year since the event’s inception in 2010. The 780HT took out the top gong in the inaugural event, with the 670HT named Australia’s Greatest Boat in 2012. Although the 490C is the smallest boat in the competition this year, event organiser Trade-A-Boat believes putting this pocket rocket through its paces against competitors up to almost twice its size is testament to the design and construction of every Bar Crusher boat. Measuring 4.90m LOA, with a 2.00m beam, the 490C brings Bar Crusher’s renowned quality and performance into the sub-5m category – at a price point that delivers significantly more than any another other boat of this size. 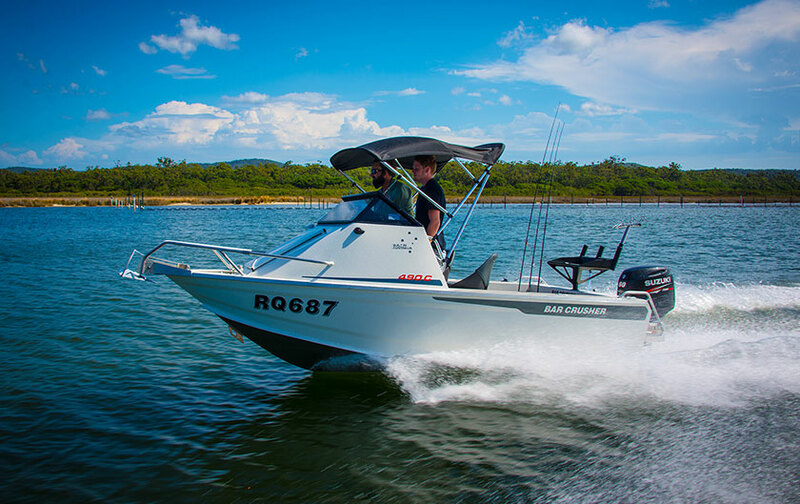 Released earlier this year, the 490C (along with the 490WR) has proven extremely popular among Australian boaters and received rave reviews among the country’s most respected boating writers, so it’s already a winner!